You want to do… what? Everything is in the project’s name, isn’t it? Flying Across America. We did not say it in the title, but as we have to fly back home, we will indeed fly across America… twice: from Florida to California, and back, in a bit less than one month. We want to have time to meet other pilots and aviation enthusiasts, and preach for General Aviation along the way. We also need this time because we will fly in Jason’s Cessna 150 – not the fastest aircraft ever, but a very economical one. But…why? 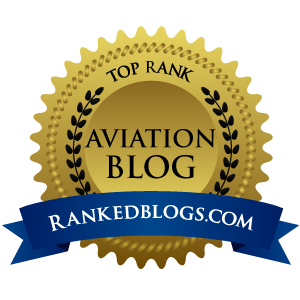 We’re two aviation nuts, intimately convinced that General Aviation is a great value to the community and we want to make more than blogging about it as we already do on Jason's blog and Vincent's blog. We want to turn this flight into a big and positive event. There are lots of things going on in aviation; lots of interesting places to visit that deserve more attention; lots of small organizations doing great work, and so on… We are in touch with many of them through our online activities, and we like to link them together, and not only on the net. Undertaking this flight is our way to do something great to promote General Aviation, improve its image, and make people aware how good it is for all of us, flying and non-flying. What’s our message? We want to share four values that are deeply associated with aviation: friendship, self-development, service, and fun. If you’re a pilot, you already know what we mean with friendship. I’ve met pilots from all parts of the world, from all branches of aviation, and we somehow all speak the same language, and belong to the same group. This universal pilot’s solidarity extends over distance, ages, and cultures. Being an aviation fan means being part of a great family. 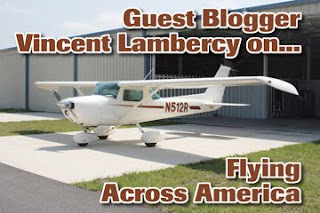 People which see pilots as egoists isolated in their cockpits should take the time to visit their local flying club… they would be surprised how social flying is. I mean, just look at this project. A U.S. Flight Instructor flying together with a Swiss private pilot living in Germany. If this is not international, almost universal friendship. You know, we never actually met, at least in "real" life. We'll meet the day before departure. The self-development part is also obvious to all pilots. Learning to fly is not only about being able to take-off, cruise, and land. There’s a lot about decision-making, working together with others, and managing complex situations with limited resources, getting to work under pressure. 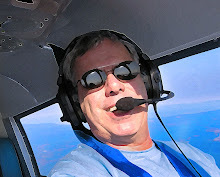 Becoming a pilot changed the way I act in many situations, and in a very positive way. You know, once in flight, you have to cope with your decisions, stick to them or change them, but there is no “pause” or “reset” button. Take-off are optional, landings are not. Many people think that General Aviation is made of business jets flying VIPs and rich yuppies flying in light aircraft. These things exist, for sure, but GA should not be reduced to that. Geneneral Aviation fulfills a lot of missions, from touristic sightseeing flights, aerial surveys of lots of things, medical transports, mail and freight, media relays to cover sport events, rescue operations, and it is a time saver for many businesses. The number of jobs directly or indirectly by General Aviation is impressive, and one should not see it as a costly hobby for a the rich and affluent. By the way, getting one's pilots certificate in Jason's aircraft costs less than $5.000. To say one more thing about what GA is doing for the community, to you know that most Christmas Trees are transported by the air from the plantations to where they are prepared for retail sales? The fourth part of the message, the fun part, is probably the easiest to explain. Aviation is a lot of fun, in flight and also on the ground. Here again, we encourage skeptical people to visit their local airport and see what for a great community exists around each and every runway. Do you really expect people to pay for your flight? Basically no, possibly yes. All clear? In a perfect world, we would fund the flying ourselves and raise funds for various charities. By the time we decided to start the project, we were not in a position to fund 100% of it ourselves, and this is why we decided to raise funds for both the flying and the charities. Our goal is however to fund as much of it as possible ourselves, and we are going in this direction. For example, I paid for my flight from Frankfurt to Jacksonville myself, not from donations. We could have asked friends and family to support us and raise fund "privately" (and we did...) but we thought it would be great to associate as many persons as possible to this project, to make it a real community thing. We also plan a book and may be a DVD to relate all of it later. And if people want to support us in other ways than by donating money, they can buy branded items from our online shop. We have great tee-shirts, mouse pads and drinkware. Some FBOs en-route offered us discounted fuel, and we will be hosted by supporters at different stops, helping us to reduce accommodation costs. If you live anywhere close to our route and want to meet us, let us know. What about the charity then? As said above, we do our best to fund the project ourselves, and save on all possible costs. We even envisaged chair-sleeping at FBOs, but this is not exactly safe on the medium to long term. Our goal is to raise money to make a donation to one or more aviation-oriented charities when the flight will be completed. There are many of them, pursuing different goals and doing a great job, and we really want to bring our contribution there. This is why promoting our flight on the net and reach as many people as possible is important to us. Any cent left after the flight will be donated, and we hope there will be lots of them. What's the present situation? We've a bit more than one quarter of the required funds, but this is without taking in account the Frankfurt - Jacksonville airline flight, which is already paid for, and some housing and fuel discount offered by different supporters. These things can not be calculated accurately at this time, but be sure that we have a very accurate tracking of all the financial aspects of the project. How to learn more? You can find all details on www.flyingacrossamerica.com. We post there about the preparation, about General Aviation, and we also run giveaways to encourage donations. During the flight, we will blog daily to report our progresses, and tell more about people we meet, and great places we visit. The flight will start on the 19th or 20th of June, and will last until the 17th of July. Stay tuned, and help us spread the word!